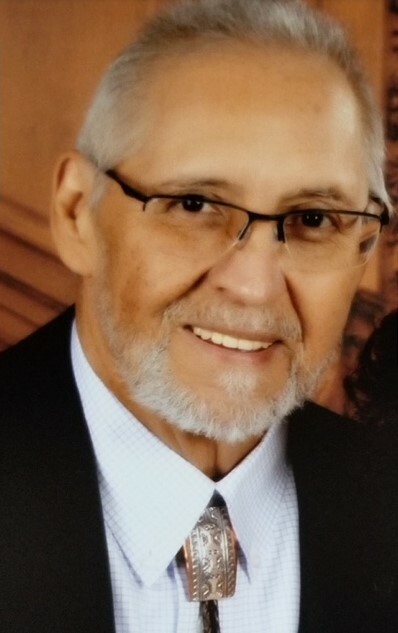 John Compelube, of Park Hill, Oklahoma, passed away on Sunday, January 27, 2019 at his home in Park Hill after a courageous fight with cancer. Funeral services will be held at First Baptist Church in Fort Gibson on January 31, 2019 at 11:00 am with Pastor Gene Haddock of Crossroads Church officiating. Committal prayers and interment will follow at Citizens Cemetery in Fort Gibson with Kenny Scott, Larry Fourkiller, Shane Stanley, Rick Quinteros, Mike Salsman and Michael Nelson serving as casket bearers. Honorary casket bearers are Fred Riner and Jason Riner. John was born in Gowan, Oklahoma on July 25, 1955 to Jimmy Ray and Mary (Bargas) Compelube. He attended school from elementary to junior high in McAlester, OK then moved to Fort Gibson in 1969 where he continued his education and graduated in 1975. He went to college in Kansas and then returned to Oklahoma. John served 8 years in the Army Reserves. He taught drafting at Indian Capitol Area Vo-Tech, worked for many engineering and architectural firms including Daniels Construction in Virginia and John-Zink in Tulsa. He worked for the engineering department at Coburn Optical in Muskogee from 1982 to 1998 where he took early retirement. He then worked for Cherokee Nation Department of Transportation as a Right of Way Supervisor from 1998 to 2017. John enjoyed the outdoors - fishing, hunting, and camping. He also enjoyed traveling, seeing new places, and meeting people. He was a wonderful cook and enjoyed cooking for work and his family and friends. Nothing lit up his eyes more than his grandchildren. He will be remembered especially for the many pieces of art that he created in his lifetime. Many are displayed at the Five Civilized Tribe Museum in Muskogee and the Choctaw Museum in Tuskahoma. He saw life as a beautiful canvas and lived life to its fullest. John is preceded in death by his parents Jimmy and Mary Compelube, and his sister, Cynthia Kay Compelube. John is survived by his wife and best friend Regina of the home; six children; Fred Riner and his wife Raegan of Lexington Park, Maryland; Jason Riner and his wife Hollie of Norfolk, Virginia; Bethany Salsman and her husband Michael of Hitchita, OK; Dustie Nelson, and her husband Michael of Fort Gibson, OK; Lacey Quinteros and her husband Rick of Coweta, OK; Shane Stanley of Park Hill, OK; five grandchildren; Brooklyn Salsman, Annyston Timmons and her husband Jonathon, Mikkah Nelson, Gunnar Nelson, and Adelaide Stanley; and one great grandchild, Peyton Timmons; brother Cecil Compelube and wife, Cindy, of Siloam Springs, Arkansas; a sister, Christina Marcel Compelube, of San Diego, California and many nieces, nephews and many friends. The family of John Ed Compelube has entrusted his care, services and burial to Clifford D Garrett Family Funeral Home, Fort Gibson. 918-478-2555.